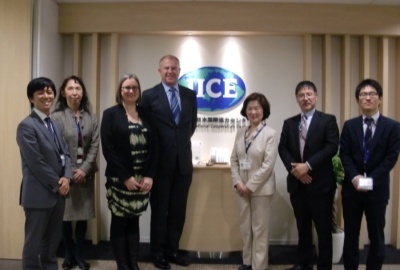 Mr. John McKinnon, Executive Director, Asia New Zealand Foundation, visited JICE on 25th March, 2014. Mr. McKinnon joined the Ministry of Foreign Affairs of New Zealand, and has held prominent positions such as New Zealand’s Ambassador to China, Deputy Secretary responsible for international politics and security and Secretary of Defense, before inaugurated as Executive Director of Asia New Zealand Foundation. The purpose of this visit to JICE is to exchange views about human resource development program including youth educational exchange program. Ms. Sachiko Yamano, President of JICE extended the gratitude for the visit, and Mr. Takahiro Sekiguchi, General Affairs Division, explained outline of JICE. Then, Mr. Erito Uchiyama, Senior Assistant to the Managing Director, International Exchanges Department, gave an explanation about JENESYS2.0 and KAKEHASHI Project－The Bridge for Tomorrow*, and Ms. Kazuko Yoshine, Deputy Director, Overseas Cooperation Division, introduced Leading Australia’s Future in Asia Programs as an example of International Training program implemented by JICE. 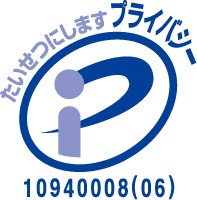 Mr. McKinnon has a keen interest in the youth educational exchange program between New Zealand and Asian countries, and Mr. Uchiyama illustrated the program by JICE, taking advantage of the knowledge and know-how of the youth educational programs. JICE commemorated 37th anniversary on 25th March, 2014. JICE is determined to commit to international cooperation through human resource development program more than ever, maximizing knowledge of 37 years.